"Duty, honor, and valor are either in your heart or they are not. You will never know for certain until you are tested." 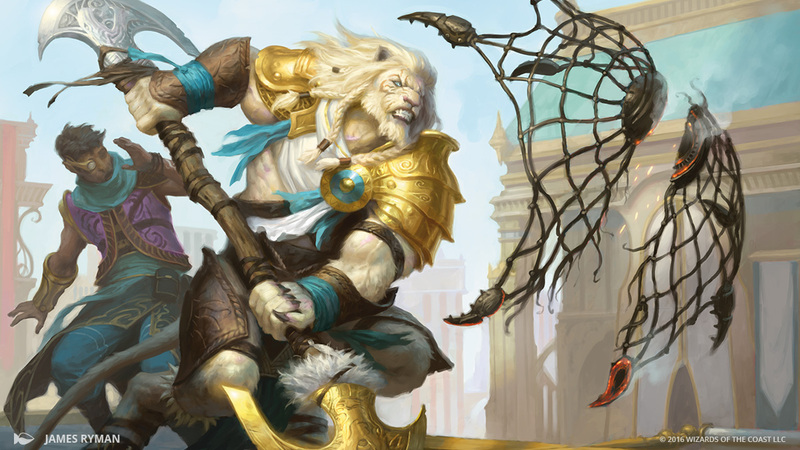 Ajani Goldmane is torn between his leonin ferocity and his sense of justice. He was born on Naya and became an outcast within his own family, an albino leonin never accepted by the rest of his pride. 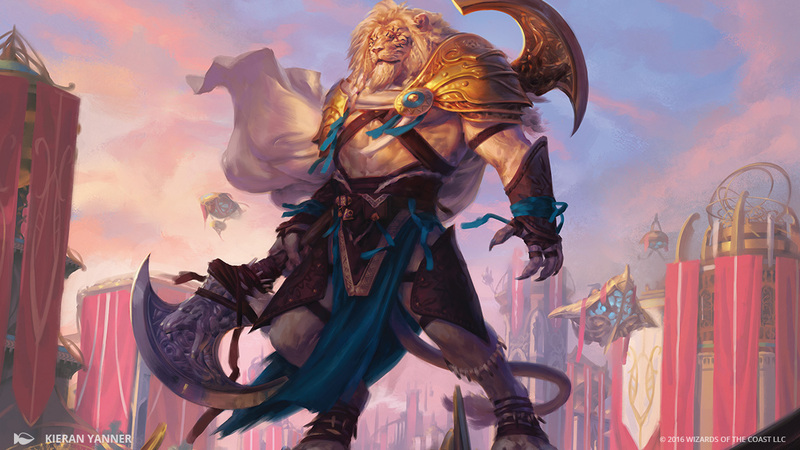 The only person who cared about him was his brother Jazal, the leader of their pride and Ajani's inspiration. 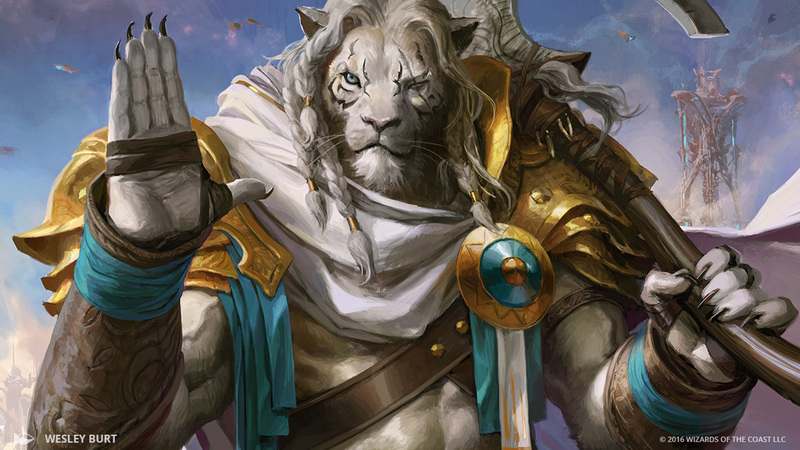 Ajani had always shown potential as a mage and healer, but had assumed his main calling was to be a warrior in Jazal's service. 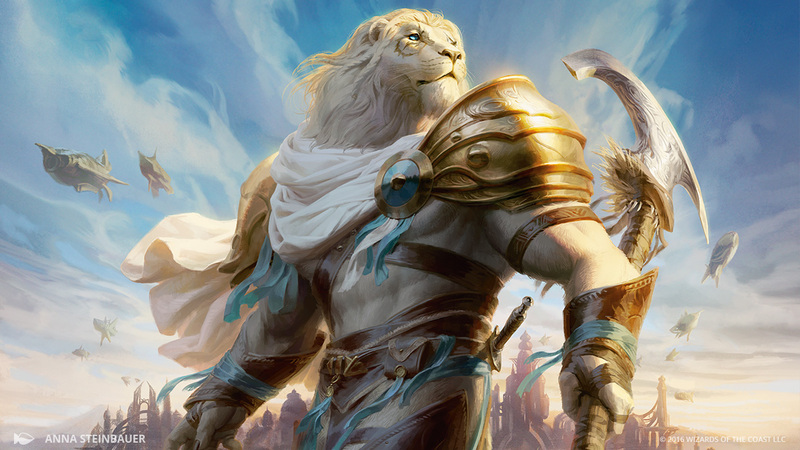 The day that Ajani's brother was assassinated by unknown forces was the day that Ajani's Planeswalker spark ignited, and everything changed. 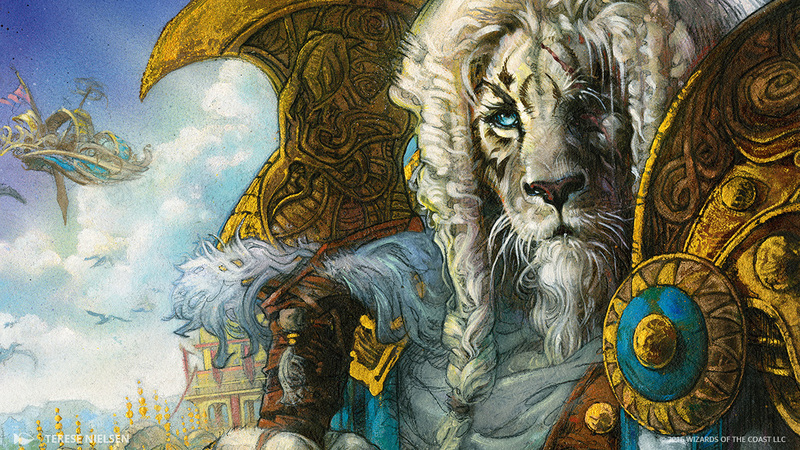 No longer could Ajani worry about his problems with his pride. His quest to discover his brother's killer has led him into a tangle of intrigue woven by mysterious forces, forcing him to broaden his skills as a warrior and to unlock new potential within himself. 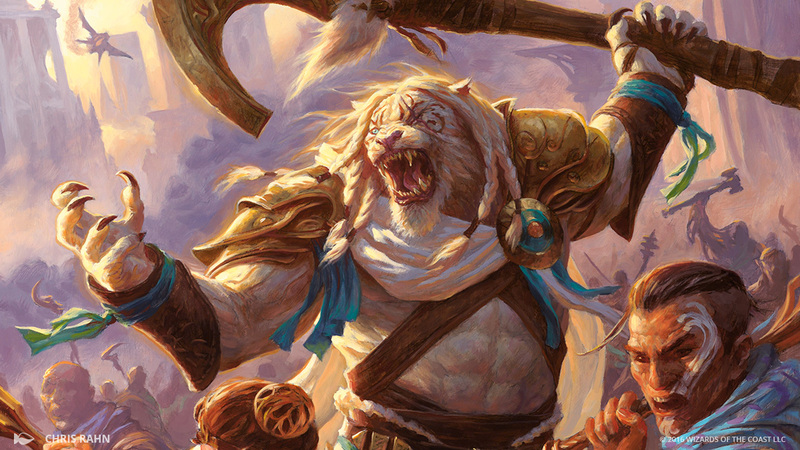 After thwarting Nicol Bolas's plans on Alara, Ajani set aside his anger and began to travel the Multiverse. He became a mentor to leonin communities on many planes, including Theros. The Gatewatch arrive on Amonkhet expecting a hellscape worthy of the Multiverse's most dangerous foe. What they encounter is much worse.